The cooking classes are lively and entertaining and hands on. The choice of ingredients, preparation and cooking are all done under the guidance of our chef. 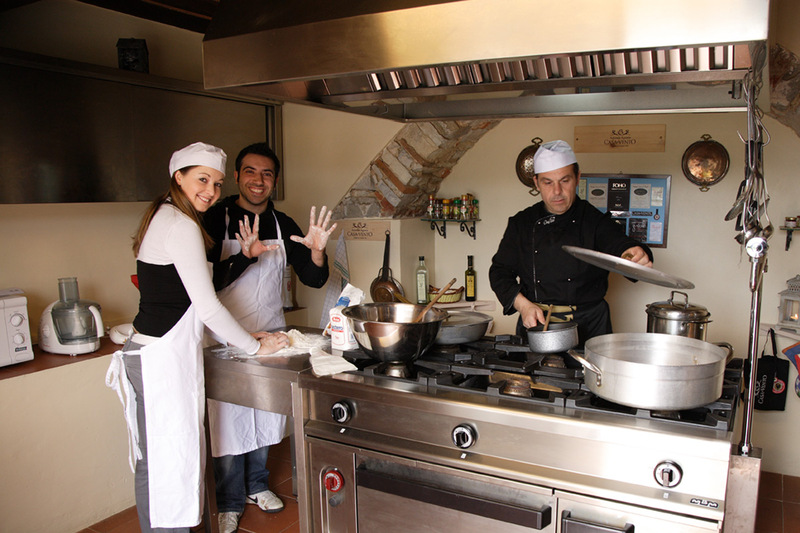 The course traces the history of Tuscan cuisine, a story about agriculture and simplicity. Even today, olive oil is still used to replace lard, vegetables as a base for soups, chestnut flour and much more. The course duration is 3 hours, after which students will eat their prepared dishes with wine from our cellar. An intoxicating mix of silence and scent. Wine at Casa al Vento is all about passion, love and tradition. Our wine bath is an intimate sensory experience regenerates both skin and spirit. Discover all treatments and discounts for our guests! Framed by vineyards and surrounding countryside, Borgo Casa al Vento is the perfect setting for weddings and celebrations. Loc. Casa al Vento, Gaiole in Chianti (Siena), Italy.